Spring is here and with it the infamous phrase, “Spring Cleaning,” but according to a recent survey conducted by Synovate Inc.,* less than 35 percent of consumers actually complete an annual spring cleaning. This year, the American Society of Home Inspectors (ASHI) reminds homeowners that there’s an alternative to traditional spring cleaning – a home inspection. In addition to inspecting a home’s major systems, a typical spring home inspection should include an inspection of the roof to identify curling, shrinking, broken or missing shingles that may lead to costly leaks; an inspection of the perimeter of the home to look for signs of settling and for voids that will allow rain to enter through the home’s foundation; as well as a thorough inspection of the air conditioning system. “While we don’t recommend that homeowners conduct inspections themselves due to safety precautions, there are several areas of the home that homeowners should pay close attention to,” added Lesh. Lesh encourages homeowners to visually inspect hose bibs (the threaded end of the outside water tap or faucet where a hose can be attached) for signs of frost damage, separated joints or splits in the pipes; tears and holes in window and door screens; broken, loose or clogged gutters; and cracking or peeling paint and caulking. While 62 percent of Americans say spring doesn’t last long enough to merit spring cleaning, according to the Synovate survey, the truth is, you only need one month – April. Why do I need a home inspection if I’m not buying or selling my home? A home inspection can identify problems in the making and the inspector can suggest preventative measures that might help you avoid costly future repairs. Even the most experienced homeowner lacks the knowledge and expertise of a professional home inspector. 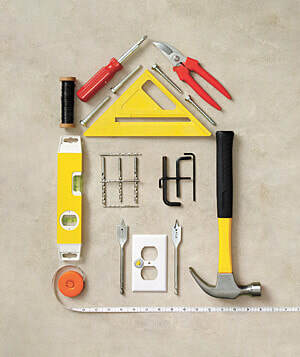 An inspector is familiar with the elements of home construction, proper installation, maintenance and home safety. He or she knows how the home’s systems and components are intended to function together, as well as their expected life and why they fail. No. A home inspector will not fail a house, but rather the inspector will provide a report describing its physical condition and indicate what components and systems may need major repair or replacement. In its 31st year and with nearly 7,000 members, ASHI is the oldest and most widely recognized non-profit, professional organization of home inspectors in North America. Its Standards of Practice and Code of Ethics are the industry standard. ASHI’s mission is to meet the needs of its membership and promote excellence and exemplary practice within the profession. For more information, visit www.homeinspector.org or call 800-743-2744. * Survey results were provided by Synovate Inc. A global leader in market intelligence, Synovate Inc.’s online Global Opinion Panel was used as the sample source for this study which included a sample size of 1,000 nationally representative U.S. interviews. The study’s margin of error is +/- 3.1 %. Get a fire extinguisher. Better yet, get several. Buy fire extinguishers for each type of fire you might encounter at home and place them where you’ll need them. Inspect extinguishers regularly to ensure the gauges read 100%. If your not sure about your current fire extinguisher you can stop by any fire hall/station and the fire men can have a look at it for you. One of the questions we are frequently asked during winter months (especially this winter), is if it is still possible to perform a home inspection – even with all the snow and ice. Our response in the affirmative is surprising to some. In fact, not only is it possible, it actually can be a good idea to schedule a home inspection right now – This article will explain why. No question that winter poses certain challenges when performing a thorough home inspection, however, there are only a few places that the snow or ice will restrict an inspection. Those areas include the AC Unit, roof, and checking proper drainage – and that is only when there is excessive snow on the ground. All other areas of the home are still able to be inspected properly during winter, and here’s why it’s a good idea. Extreme weather can cause all kinds of stress and damage to a home, and often, that damage isn’t revealed until temperatures warm up, and those situations can quickly turn into emergencies. We’ve already seen a number of homes in winter with plumbing connections that have frozen and cracked underneath the house causing slow leaks and water intrusion. With freezing temperatures, those failures aren’t always recognized until things warm up. Another advantage of a home inspection in cold weather months is that it is easier to detect drafts and insulation failures. During the summer months, attics can reach temps of 120+ making it difficult to detect areas of concern. In the winter, it’s obvious where there are cold spots or drafts. Also, with a snow pack on the roof, it presents an opportunity to see check the integrity of the framing (how things are holding up under that extra weight). So in a nutshell, yes, a home inspection can be performed in winter. Snow and ice do present challenges, but they also present opportunities to see things that are more difficult to detect in summer months. A winter home inspection can help homeowners avoid more serious damages when warmer temperatures arrive. Things to Consider When Having a Home Inspection during winter. You’ve been searching like crazy to find that dream home, and finally you’ve found it. Now before you finalize the purchase of this home, you decide it’s in your best interest to have it inspected by a professional, smart move. However, it’s the middle of winter and there’s a few feet of snow covering the ground, so here are some things you need to consider if having a home inspection performed during winter. Quite honestly, winter is the worst time of year to conduct a home inspection. However some things can’t always fall under our control, so we have to make the best of the situation we are faced with. Many important items such as the condition of roof covering(s), lot grading and drainage, condition of walkways, balconies, decks and patios as well as the condition of A/C units cannot be inspected during winter due to restricted access or visibility from snow build up. Some people will expect that a home inspector go onto a snow covered roof (yeah really?!!) and remove the snow from the roof in order to inspect the shingles or roof covering. Despite the fact that this is just plain silly and dangerous, it would be a waste of time because the inspector would most likely end up damaging the roof to some degree by doing this. In order to properly and effectively inspect a roof, it must be clear of debris so the entire roof can be viewed and assessed correctly. This can be nearly impossible to do during winter. Lot grading and drainage is a very important item to check during an inspection, however in winter it is next to impossible for the home inspector to determine whether the grading is adequate due to snow cover. Once the snow melts, you may find the need to re-grade the property in order to keep water away from the foundation. Condition of foundations and inspecting for major cracks or structural deficiencies can also be very difficult if the snow depth around the house blocks the inspector’s visibility of the foundation. Our advice is if you are having a home inspection performed during winter, then it would be a very good idea to consider having a backup budget ready for items that your inspector cannot inspect due to circumstances out of his or her control. Remember a home inspection is an inspection of the readily accessible items at the time of inspection, therefore if snow conditions hinder the inspector’s ability to access certain items; you must be prepared to deal with the potential problems that may exist. If this falls outside of your comfort zone, then perhaps it’s wise to buy a home outside of the winter months to ensure you can get the most thorough inspection possible. 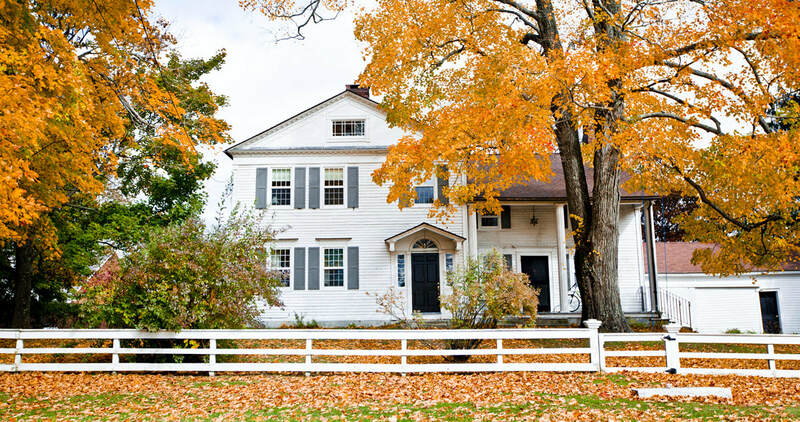 Like it or not, winter is not far around the bend, which makes this an ideal time for homeowners to prepare their homes before the snow flies. Here are simple and effective steps that will help you maintain the lifespan of your properties and save you money in the long run. A home inspection allows homeowners to maximize efficiency and safety in their homes. The inspection provides a home maintenance schedule specific to that home as a way to assist the homeowner in maintaining the value of their investment. 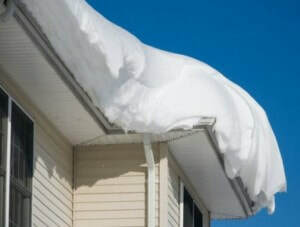 It is especially important for people to clean gutters with downspouts and downspout extensions, so that when the snow melts on the roof the house helps water travel away from it. Otherwise blockages in these drainage systems create stagnant water that can freeze and thaw, and eventually cause ware to the shingles, rending the house vulnerable to damage. Another useful tip is to ensure attics are properly ventilated. Ventilation with a good system of soffit and roof vents create conditions to continually take moist air away and stabilize the attic temperature. This allows homeowners to avoid moisture being absorbed in the home’s framing, which can weaken it. Go around the exterior of your homes with an outdoor sealant. If you see worn out or cracked sealant at windows or holes on the exterior, seal these areas. This action will pay off in avoiding leaks into the house. Not sure how to accomplish these tasks? Not to worry. Home inspectors are great resources for providing personalized and expert consultations. However, for those more keen on DIY, follow these tips to save time, money and frustration this winter. While it’s typical for a home inspector to find minor issues, there are eight problems that should warn you to proceed with caution or walk away from the house completely. Before you purchase, thoroughly inspect it for the following home inspection red flags to find out if they’re deal breakers. Asbestos. Many homes built before July 1989 may contain this hazardous material. If asbestos is present, it must be removed and properly disposed of by a professional. If that’s the case, this costly job should be factored in before making the decision to bid on the house. Electrical or plumbing problems. Many plumbing and electrical problems are small and inexpensive to fix. Some people try to save money by doing projects themselves or by hiring an amateur. If the previous homeowners cut corners with wiring or plumbing, consider repair costs when deciding whether to purchase the house. Foundation issues. Not all small cracks are deal breakers. When it comes to foundation issues, the main objective is to determine the causes behind cracks. Is it just minor settling of the structure? Or is it more serious, such as large tree roots or poor soil conditions? Once you’ve found the cause of the cracking, you’ll be able to better assess whether you’re willing to move forward. Lead paint. In addition to asbestos, older homes may also contain lead paint. This could be a deal breaker, especially for families with young children. Lead paint is extremely dangerous when consumed and removing lead paint can be costly. Mold. Not all mold issues are created equal. If mold is found in the bathroom it can be fixed simply by installing an exhaust fan, it’s not cause for great concern. However, if mold is caused by a roof leak, or irrigation or plumbing damage, you may want to research the repair costs before moving forward. Old roof. A home inspector will be able to help you determine if any roofing issues are minor, or if there is any damage under the roof. Keep in mind that replacing a roof is one of the most expensive home repairs and can cost thousands of dollars. Pests. From wood-eating insects like termites, to cockroaches, to burrowing rats and mice, pests can damage the structure of a home in many ways. However, not all pest problems are as serious as others. When in doubt, call in a pest control company to give you a quote before closing on the house. Water damage. Be sure to get an explanation for any water damage you discover. Find out if the basement is likely to flood or if rusty pipes played a role. These larger issues should raise a red flag and help you determine if this is a deal breaker for you. The warm weather months are the prime season for real estate buying and selling, and millions of Americans are busy shopping for homes and finalizing their transactions. Purchasing a home is typically the largest financial transaction of a person’s entire lifetime, and those who realize the American Dream through home ownership want assurance that their home is well constructed so that it can potentially last a lifetime. For that reason it is always highly recommended that before closing on any home the buyer should hire a licensed and qualified home inspector to thoroughly evaluate its structural and mechanical performance. Schedule the home inspection as soon as possible after submitting an offer to purchase. That will allow you enough time to negotiate any potential repair allowances or expenses with the seller. It will also give you time to have repairs or other remedies completed and, if necessary, inspected again before the date of your closing. Attend the inspection, if possible. Being on hand while the inspector examines the home offers you a rare opportunity to ask questions and get valuable home maintenance advice. The inspector can point out particular areas of interest to you and explain any special concerns or issues he or she discovers. 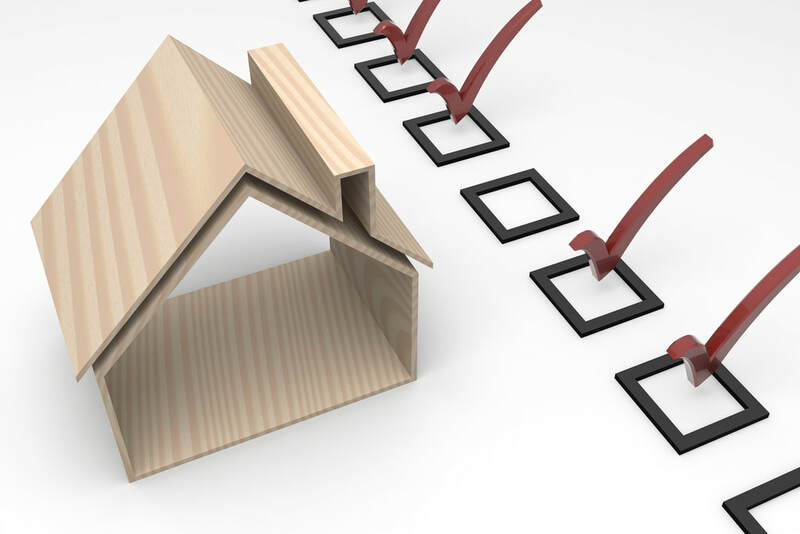 Don’t neglect the home inspection process just because you are buying a new home from a developer or builder. Some of the most catastrophic problems with homes have been found in new construction, and if nobody has lived in the home before then there is no one to verify whether or not problems or potential problems exist. A professional inspector knows exactly what to look for – even in the examination of a brand new house – and they will give you a full report to help you make your important buying decisions. Once you receive the inspection report take some time to read through the entire document. Many homeowners simply scan the report for problems and then toss it out or file it away somewhere. But each report contains lots of insightful information about the property. Knowing what the inspector found and described about your home can make you a more informed consumer and a more conscientious homeowner when it comes time for proactive home maintenance. The inspection report also gives you a common reference document that is written in appropriately technical language. That means that referring back to the home inspection report can facilitate clear understandings during discussions about your home with contractors, tenants, insurance companies, real estate agents, and other interested parties. Even if the home has been recently inspected and the current owner shares that official inspection report with you, you should still exercise your right to hire your own inspector. Houses aren’t static, unchanging structures. 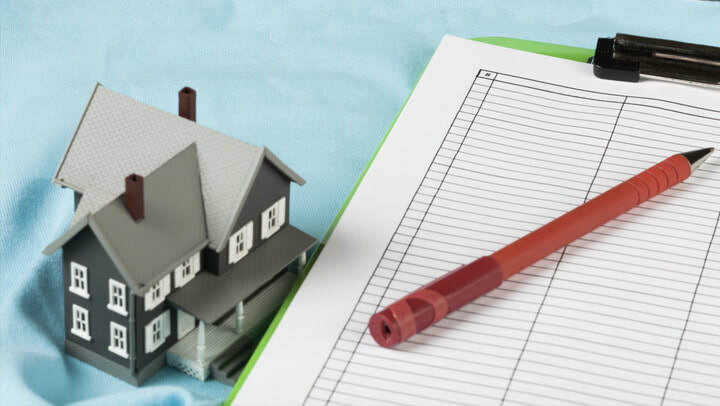 The condition of a home can change drastically within a very short time, and relying on outdated information – even if it was accurate at the time it was compiled – can be a serious mistake. Before hiring a home inspector, first confirm his or her professional credentials. 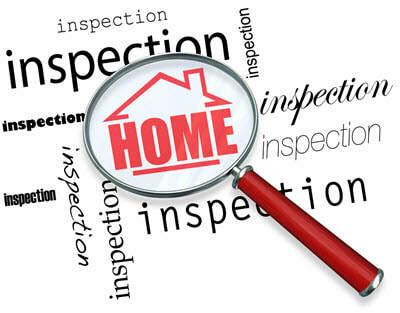 Each state has its own criteria and licensing or certification system for home inspectors. You want to be sure that yours has the educational and training background required – as well as current and verifiable professional certification. A professional home inspection is one of the best investments you can make, and it represents just a small fraction of the cost of the real estate purchase. Nobody would risk buying a car without first having it checked-out by a knowledgeable mechanic or other car expert. Otherwise they can end up paying a considerable amount of money for a lemon. But compared to the price of a home, vehicle purchases are relatively minor. Trust the experts before signing on the dotted line and signing up for a long-term mortgage commitment. Hire the best possible home inspection professional, and then rest assured that you can make a wise, well-informed, confident home purchase. Not only will the expertise of a professional home inspector provide you will valuable insight and information, but it can also offer you invaluable peace of mind and reassurance during the often stressful process of buying a home for yourself and your family.